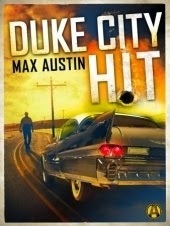 1Rad-Reader Reviews: Interview With Steve Brewer: aka: Max Austin - Author of Duke City Hit TODAY!!! Interview With Steve Brewer: aka: Max Austin - Author of Duke City Hit TODAY!!! Rad-Reader: Is Duke City another name for Albuquerque? Because your first book had that in its title also? Steve: Yes, Duke City is Albuquerque's nickname because the city originally was named for a duke back in Spain who helped fund the Spanish exploration/settlement along the Rio Grande. Steve: Well, not all of them are. One of the heroes of the next book, DUKE CITY DESPERADO, wears baggy jeans and a gray hoodie for the whole book. But the protagonist in DUKE CITY HIT, which came out in December, is Vic Walters, a hit man in his late 50s who believes in the anonymity of the gray business suit. Vic's the kind of guy who always buys a black Cadillac because it's comfortable and invisible. 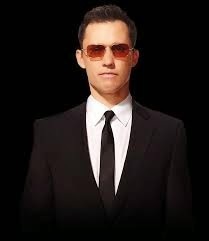 He bumps off somebody and drives away, and none of the witnesses can remember anything. Rad-Reader: Have you thought about writing another book from Duke City Split on what happened after he left town? Steve: You have to understand that I wasn't writing a trilogy when I started these books. They were written as standalones, then picked up in a three-book deal with Random House's new Alibi imprint. We changed the titles to DUKE CITY SPLIT, DUKE CITY HIT and DUKE CITY DESPERADO as a way to link the three to each other and to Albuquerque. I've written a fourth book, DUKE CITY HEAT, which pulls together characters and storylines from the first three books, but Alibi hasn't bought it yet. Fingers crossed. Rad-Reader: Has your publisher tried to change your stories or have they let you write these characters freely? Steve: Other than the title change mentioned above and the Max Austin pen name, they didn't ask for many changes. Rad-Reader: What is your process when you come up with a story because your first two books were very good and the crime scenes were very thoughtful? Steve: These days, I'm focusing on books about crooks, so I usually start with a criminal of some sort and pit him/her against the police or against some bad guys who are much worse. In DUKE CITY SPLIT, two bank robbers make a big haul, only to have every crook and cop in town come after them, trying to carve off a piece. In DUKE CITY HIT, hit man Vic is forced to take on a drug trafficker and his henchmen in a big shootout. In DUKE CITY DESPERADO, which comes out next June, two goofballs try to rob a drive-thru bank and things go terribly wrong. As a longtime writer of crime novels (26 and counting), I spend a lot of time thinking about crimes and criminals. Often my books will center around a heist of some sort, or the heist will be the jumping-off point for a story about what happens next. Rad-Reader: Is it easier writing from a criminal side or a police or investigator side? Steve: For me, it's easier to write about the crooks. Police investigations have become so high-tech and lab-driven, they don't interest me as much anymore. I'd rather take a couple of everyday crooks and see how they survive on the streets. Rad-Reader: Are any of the characters in your books loosely based on any one you know like the Bail Bonds or the waitress at the diner? 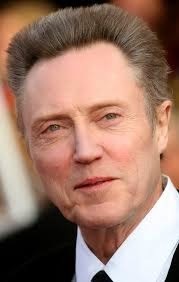 Steve: Not specifically, though most characters are composites of the real people writers encounter in everyday life. Little quirks or physical features attach themselves to characters and off we go. I did spend more than 20 years in daily journalism, so I've met a lot of cops and crooks over the years. Steve: I'm an outliner, though just for the plot. Character development, dialogue, details all come in the writing of the first draft and subsequent rewrites. I usually write a paragraph or so for each chapter, just enough to keep me on track. So a typical outline for a 300-page book will run about 20 pages. 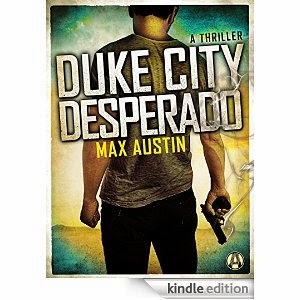 Rad-Reader: Your third book Duke City Desperado should be coming out when? Steve: In June, though it's available for preorder now! Only $2.99! Rad-Reader: Will that be another law breaker thriller? Steve: Yes. Some of the police characters carry over from other books, but the main characters are new, two nimrods -- Dylan and his mentor Doc -- who try to rob a drive-thru bank in the opening scene. The story follows the pair through the aftermath of the robbery. Steve: Everywhere e-books are sold. 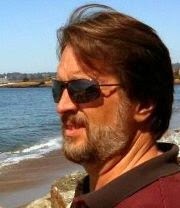 My author website, www.stevebrewer.us.com, links directly to Amazon. And Random House has a cool website where you can see all the Alibi books. Rad-Reader: If your book was made into a movie who would you get to play you lead character? Rad-Reader: What would you be your theme song if you had to pick one for Duke City Hit? Kind of like a Duke City Playlist. Steve: Got to be "(Get Your Kicks on) Route 66." That's practically the official city song. I listen to a lot of jazz while I write, by the way. Songs with words distract, but instrumental music is good. For fans of Breaking Bad and Better Call Saul comes Max Austin’s latest fast-paced, rollicking Lawbreakers Thriller of criminals and lovers, malcontents and madmen—all within the treacherous city limits of Albuquerque, New Mexico. Thanks so much for taking the time to answer all our questions. You were a sport. You were one of our fastest authors as far as returning all the questions but also the material needed for the promos we do too. Thanks again.